Cocaine is the second most commonly used illicit drug in the U.S., with nearly 2.1 million people using it currently. It is made from the coca plant, found in Latin America. The use of this plant dates back thousands of years. It’s leaves were once used to increase stamina and to help get through long periods of food withdrawals. Years later it, through scientific experimentation, it was found that one could isolate the principal alkaloid from the leaves, resulting in the powdery substance known as cocaine. Cocaine is typically snorted, injected or smoked. One who uses cocaine will feel energetic, euphoric, talkative and mentally alert, usually followed by feelings of depression, agitation, anxiety and paranoia as the drug wears off. It has also been said that cocaine may allow the user to go without food or sleep for extended periods of time. There is new research that shows evidence of metabolic alteration from cocaine use, which affects the way the body stores fat. Users actually develop a craving for fatty foods and carbohydrates, which they do eat. This diet of high fat foods would normally cause a person to gain weight, except with a cocaine user, it causes the opposite. This can actually have a big impact on recovery. It has been documented that rehabilitating cocaine addicts gain an unusual amount of weight during the recovery process. This is probably a result of the cocaine’s affect on the metabolism. This weight gain can become a major issue with recovery, as the patients can become upset by their new appearance. The person has sudden financial problems: Cocaine is fairly expensive and someone with an addiction is sure to blow through any money that they once had in order to continue their habit. They may also ask for money from friends and family members on a regular basis. The person gets frequent nosebleeds: Snorting cocaine destroys the membranes inside the nose, causing the nose to bleed. 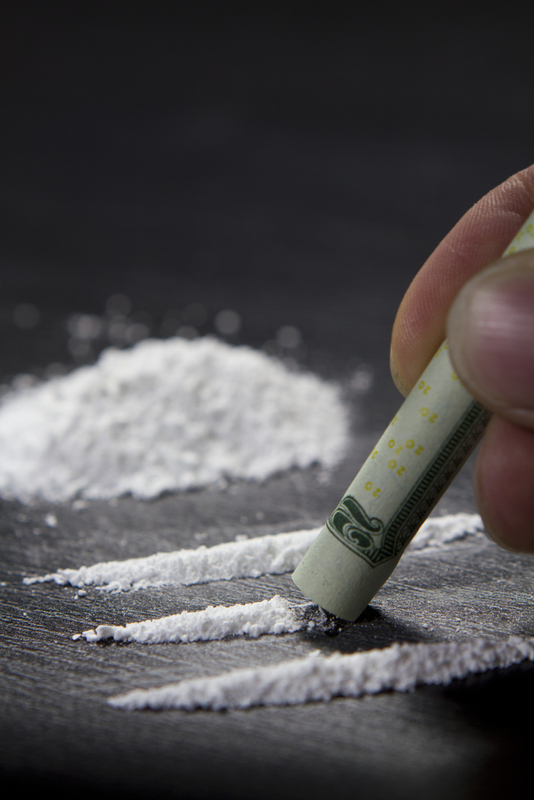 Stuffy and runny nose are also associated with snorting cocaine. The person often “crashes”: Cocaine users will sleep for days at a time after using large amounts of cocaine over a long period of time. They may also appear listless and lacking energy. Heavy bags may appear under the eyes as a result of lack of sleep. The person loses interest in friends and family: When someone is addicted to cocaine, it consumes his or her life. They will take little interest in things that are happening around them, unless of course it has to do with using cocaine. They will drop hobbies that they once enjoyed, etc. Extreme weight loss: As stated above, when a person is using cocaine, they will begin to lose weight rapidly. The sudden increase in cravings for fatty foods could be another indicator that someone is using cocaine. If the person is eating a lot, and losing weight, this is a major red flag and should be addressed immediately. For more information on the symptoms of cocaine use contact us today.